The average Merchantville, NJ residential or commercial property owner is not equipped with the knowledge or tools to properly handle a mold problem, should one develop. That is why, often times, uncovering prolific mold activity can easily overwhelm home or business owners. Mold should always be approached with a sense of urgency. The most effective way to protect your family and property from further damages and costlier repairs is to complete a professional Merchantville, NJ mold inspection immediately. 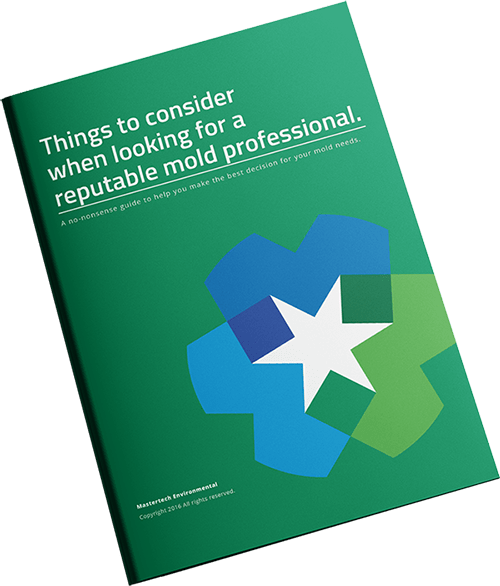 Even if you are unsure if it is, in fact, mold, a reputable mold professional will be able to help you make that differentiation and provide you with a peace of mind. When it comes to mold, MasterTech’s certified team understands and appreciates the risk that you and your family are up against. That is why we have made every effort to carefully train each of our technicians to handle all cases swiftly and efficiently while remaining mindful of you and you family’s safety and best interest. At MasterTech we are committed to providing a quality and honest service with affordability in mind. Merchantville, NJ home and business owners often worry that the building will be blasted with a harsh and dangerous chemicals during a mold remediation. No one wants to live in or work in a chemically treated environment. MasterTech has taken all possible measures to ensure you and your family will be returning to a mold-free AND safe environment. For Merchantville, NJ mold removal, we use the safest methods available in the industry today. Our team of experts is constantly researching newly developed mold removal methods, to ensure that our process stays the safest, most effective, and most efficient. Currently, oxidative technology is the safest approach to mold removal. 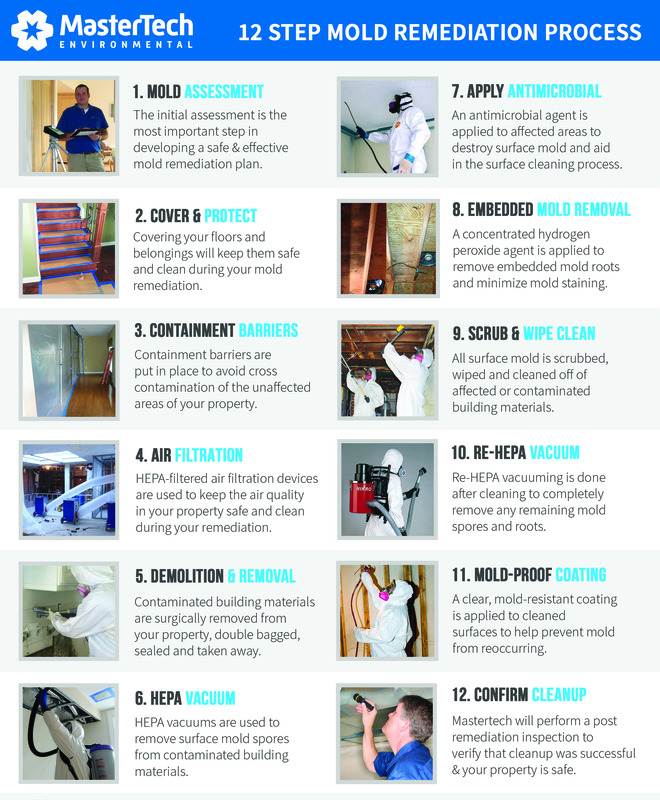 This method has revolutionized the mold remediation industry. Oxidative mold remediation harnesses oxidizing agents, surfactants and surface cleaners that target bio-contaminates found in our homes, schools and commercial buildings. This process has been proven to be more effective at removing bio-contaminants than any other remediation method available today. Not only is the process more effective, it is also environmentally safe. The process does not require the use of powerful pesticides and there are no dangerous residual chemicals or heavy metals remaining after remediation. Every step of our Camden County, NJ Mold Removal process is thoughtfully put into place to ensure the safest and most effect move remediation from start to finish. Our 12 step process ensures control of the problem through proper containment and protection of your Merchantville NJ property. Our technicians will take care to complete a thorough cleanup and proper disposal of all contaminated materials. Upon completing each mold remediation in Merchantville NJ, we confirm the job was done right with a post-remediation inspection and post-verification testing. As proof of our commitment to providing the highest quality mold remediation available in Camden County, NJ, each mold remediation is back by a 5- year mold-free warranty. If you are look for a reputable mold professional in New Jersey that you can trust with your home or business, call to speak with someone from our team today! For mold removal and mold inspection Voorhees, NJ or mold removal and mold inspection Lindenwold, NJ, call 1-800-310-3226.